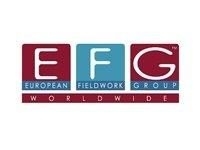 EFG Worldwide is a US-based global leader in international Data Collection and multi-country studies, across all methodologies, from A to Z (translation, programming, recruiting, interviewing, tabs?? L&E Research connects clients with customers, consumers, medical professionals, patients, business professionals, and more - for virtually any market research project. At CodingExperts we focus on verbatim coding through ASCRIBE. Line of Sight has been helping organizations make the right strategic moves for two decades.